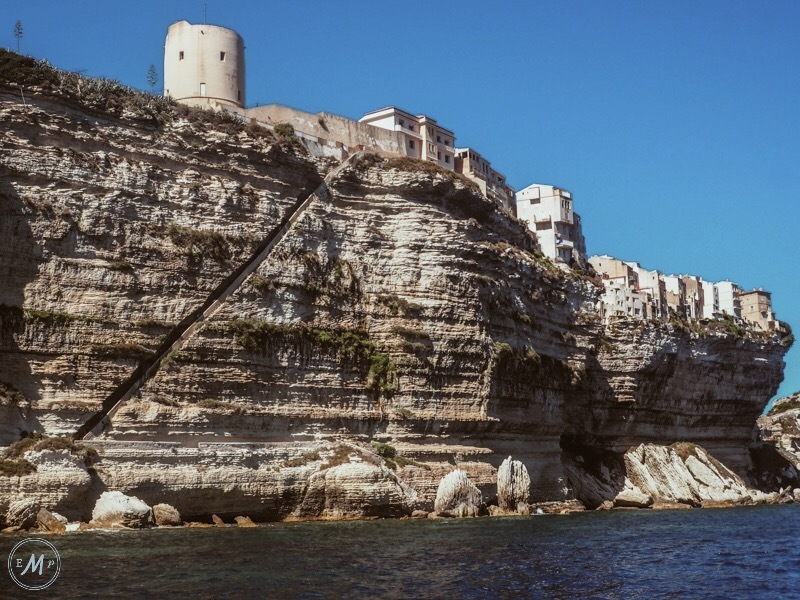 Bonifacio, Corsica is an old town on the islands southernmost point. Perched on top of limestone cliffs, the narrow streets of the town’s citadel give way to spectacular viewpoints. Meanwhile, its modern marina plays hosts to chic bars and splendid restaurants making it a destination that my family and I surely couldn’t miss on our trip to the island. In this way, we visited on a day trip from our base of Porto-Vecchio, which is about a 40minute drive from the town. One option is to park in the citadel/old town as there is a small car park by the marine cemetery. However, this is the least favourable option since spaces are severely limited, meaning you’re unlikely to be able to park unless you arrive very early in the morning! Comparatively, a second car park (opposite the marina) is substantially bigger and subsequently were my family and I opted to park. This said, in the summer months you should still expect queues for a space. Whats more, the car-park was horrendously expensive! However, this could be expected as Bonifacio is one of Corsica’s main towns. Thankfully, the ‘Le Petit Train’ operates as a taxi service between the citadel and marina for the price of €5. Although this seems a little pricey, for me it was more than worthwhile as it enabled us to explore the old town, without dying from walking in the 40°C heat. This said we did end up walking back down to the marina as it seemed pointless to wait for the train when the temperature had dropped in the evening, and the journey back was all downhill! TOP TIP: if you do plan to take the train back down as-well bare in mind it stops running at 8pm! 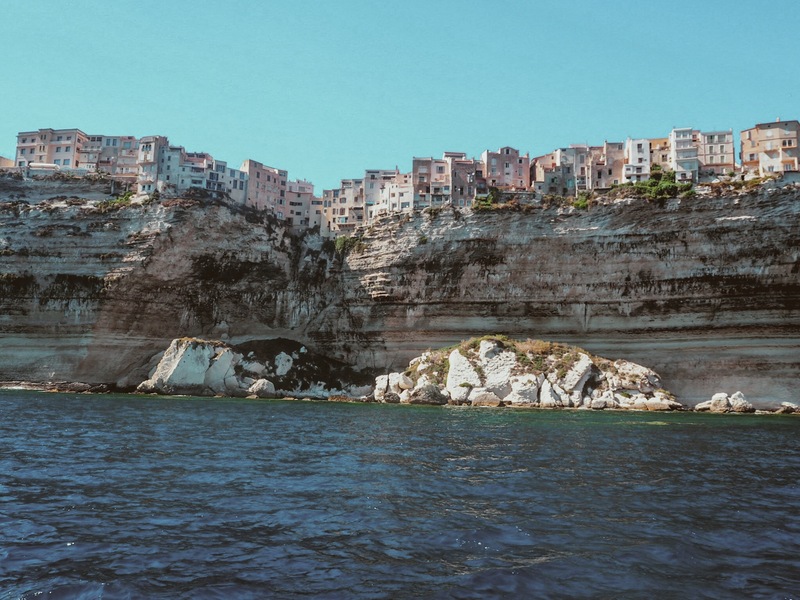 One of the best things to do in Bonifacio, Corsica is to take a boat trip! There are several companies which operate from the harbour, but my family and I opted to go with Rocca Croisieres Boat Tour Company. Their 1hour route (circuit one) takes you round to explore Bonifacio’s colossal limestone cliffs and the caves within them. It also visits several hidden coves, and on our trip, the driver even pointed out key landmarks such as the town’s war memorial and lighthouse. Personally, I loved seeing the old town perched on the cliff-top. The houses are built right up to the edge, meaning you’d certainly have to have a head for heights to live in them! Another highlight was the ‘Cave Of Sdragonato’ which has an opening in its roof in the shape of Corsica. 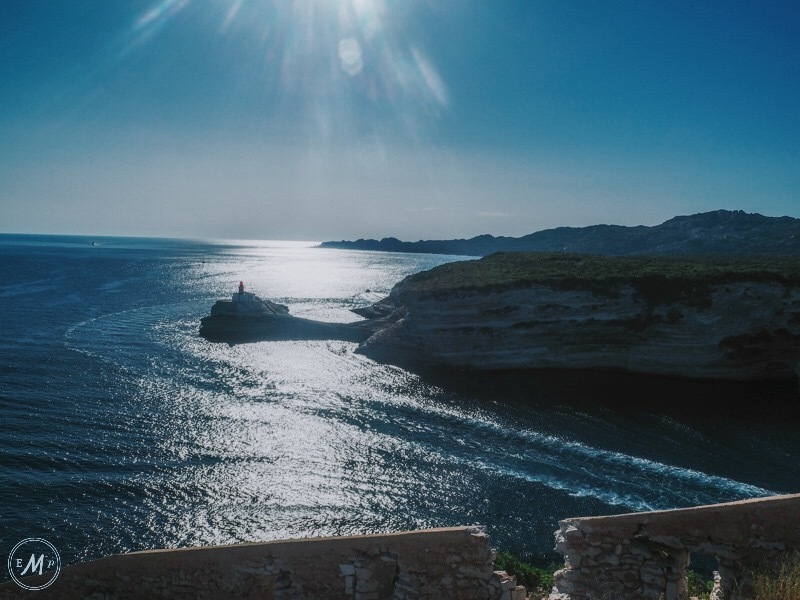 Allegedly carved out in one night by soldiers of the King of Aragon, a steep stairwell (accessed from the citadel) allows you to ascend down Bonifacio’s cliffs to just above the turquoise seas! You can then walk along a path cut out in the rock to witness magical views of the coast. TOP TIP: the 187 steps that make up the stairway are uneven and pretty hard going, so make sure you feel fit enough to take them on!! One of the best views in the house is located right at the edge of town, just past the marine cemetery. Here, old war bunkers provide the perfect spot to take in sea views and watch the sunset over the towns ancient lighthouse. TOP TIP: on a clear day you can make out the outline of Sardinia as its only 12km away from the towns most southern point. 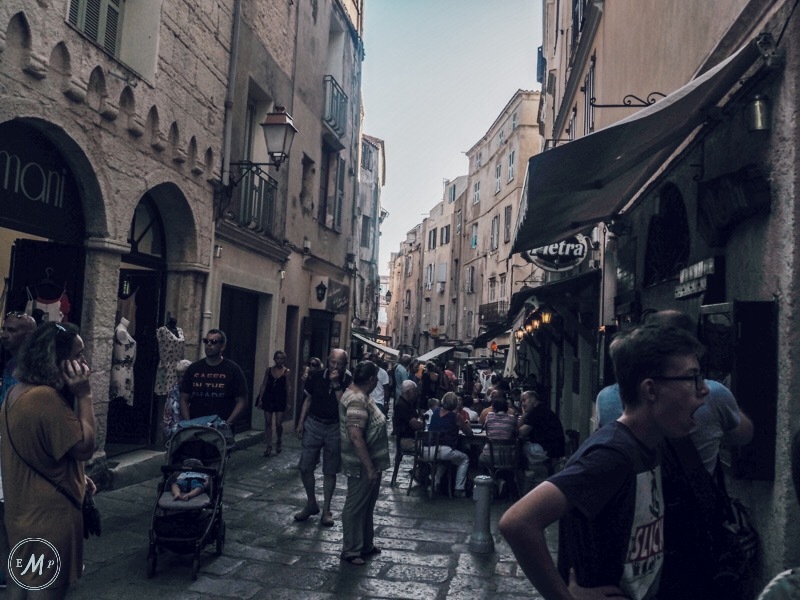 A maze of narrow cobbled streets and medieval buildings, possibly the best thing to do in Bonifacio is simply to explore the old town and discover its many picturesque squares and small cafes/restaurants. The charm of the old town is second to none! With stone archways and other small architectural details making it, thus far, one of my favourite places in Europe! Buildings of special significance in the town include the 13th century Church of Saint-Dominique and the 12th century Church of Sainte-Marie-Majeure (the oldest building in Bonifacio). Bonifacio also has a good selection of shops for you to browse in, both in the old town and the marina area. Whatsmore, unlike most places I’ve visited, the souvenir’s on offer, although touristy, weren’t too tacky! I’m joking with this last point, but thought it was worth mentioning that never in my life have I seen so many superyachts in one place!! As our invites to the previously mentioned yacht parties seemingly got lost in the post, we instead opted to grab dinner in Bonifacio before heading home. Our venue of choice was Dorsia, which is located in the marina, right on the water’s edge. Serving an array of fresh fish, meats and pasta, the food was simply to die for and the service second to none! For example, despite not having a cocktail menu, the waiter was kind enough to whip together a concoction of alcohol and fruit juice to quench my thirst. 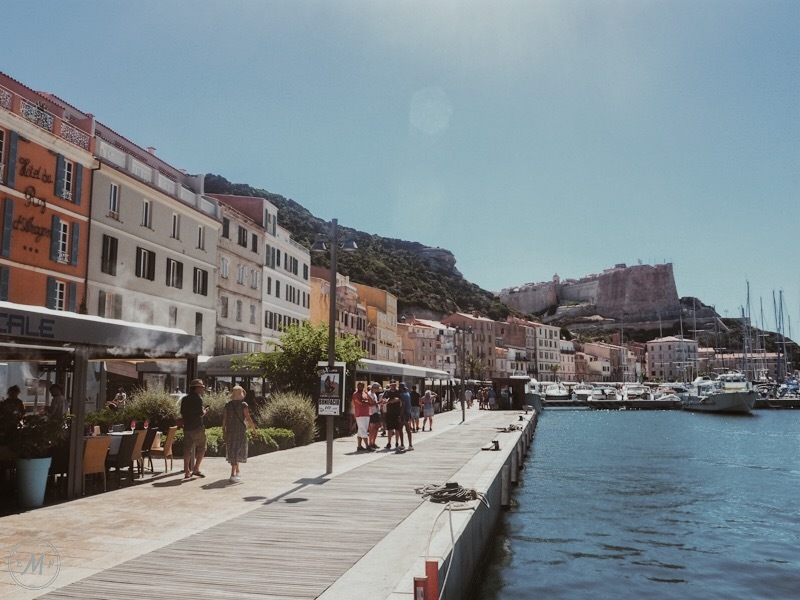 In this way, I would suggest that Dorsia is one of Bonifacio’s best restaurants… This said, if you visit the town you shall be spoilt for choice as there were many more restaurants within the marina area that struck our fancy, as well as several adorable spots in the citadel! Thus if you’re looking for a more comprehensive guide to Bonifacio’s best restaurants then check out TripAdvisor. As mentioned at the start of this post, I only visited Bonifacio on a day trip and so did not stay in the town. This said, there is certainly enough to do to warrant an overnight stay. I for one would have loved more time to explore! However, there does not seem to be a great deal of accommodation available… This said, there are a few hotels within the town and also Villas for rent within the area – Find out More on Booking.com. 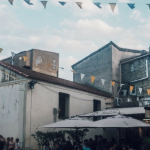 Have you been to Bonifacio yourself? 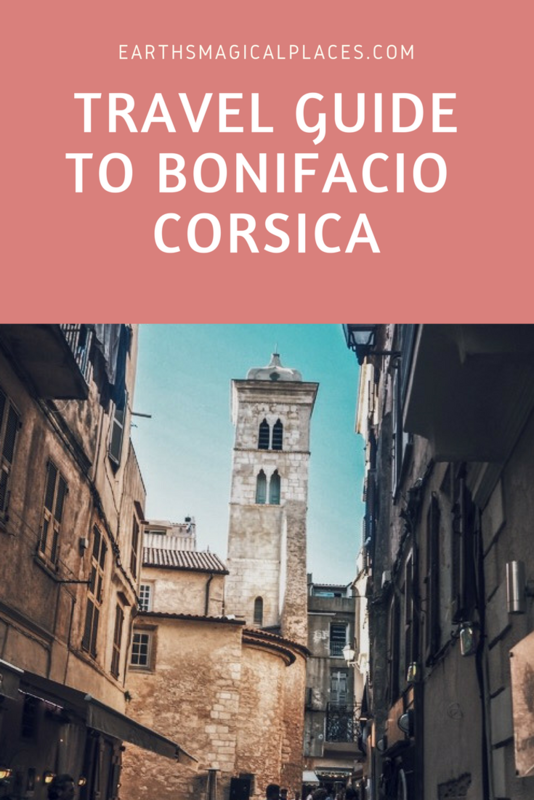 Planning a trip to Corsica? Let me know in the comments below! I have been to Italy several times and have not explored this region to much. Looks beautiful and your photos are gorgeous! I’m absolutely terrible with geography so I’m a little ashamed to say I’ve never heard of this beautiful place. Will definitely be adding this to my bucket list and will be looking into Rocca Croisieres Boat Tour Company too. Thanks for the awesome recommendations! 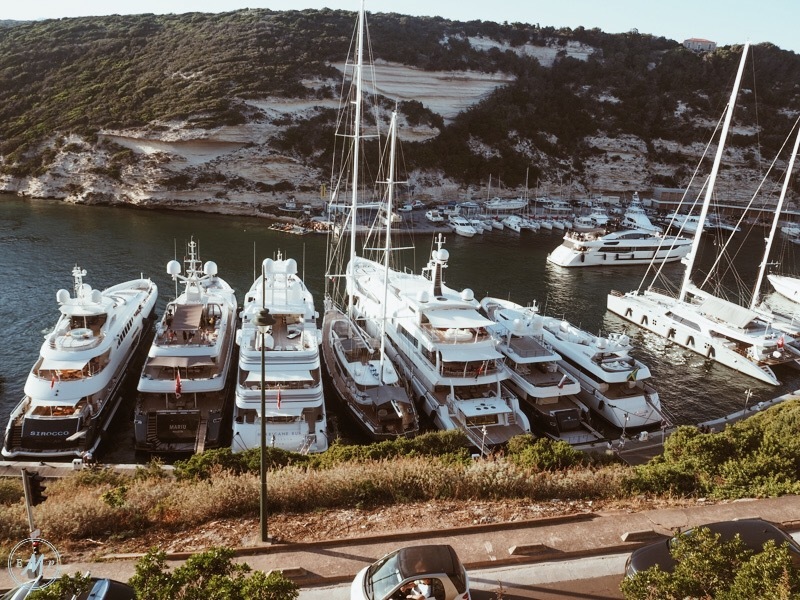 Yea, Bonifacio also boasts a busy marina filled with impressive yachts and lined with chic bars, restaurants and hotels, enhancing the vibrancy of this fashionable coastal resort. My friend last year visit this place and told that place is so nice. All facilities are available here that require a traveler need. 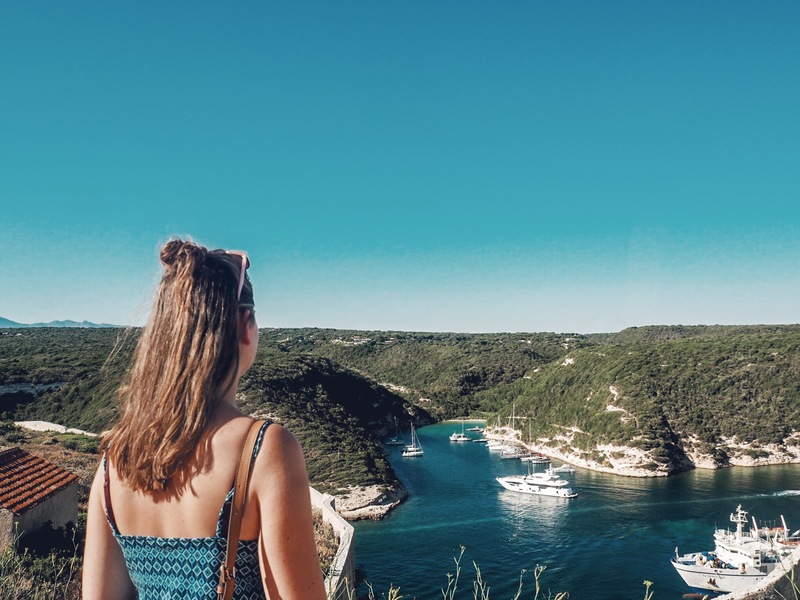 Thanks for sharing your travel guide about Bonifacio.